"An old friend of mine had made this for years and swears by this recipe. 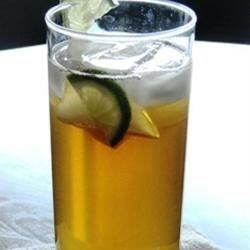 I have to admit it's the best Long Island Iced Tea I've ever had." Summertime and this drink just go together. MMM An alternate version, the Long Beach, use silver tequila instead of gold and sub cranberry juice for the cola. Ohhhh ohhhh. So Smooth. Definitely make sure you're not driving after drinking this Long Island Iced Tea. Please ask Mrs. Baxton to invite me to her next party.